Dr. Ellis Arjmand listens intently as his young patient gives him an update. I’ve heard that a time or two, and I suppose that’s a pretty good notion to live by most times. But if you provide a service of any kind, what people are saying matters. My wife, Shannon, loves going on consumer websites to review restaurants and retailers. And because many people tend to vent on these sites, Shannon prefers to share reviews about positive experiences. Her interest in these websites prompted me to do some digging of my own recently. I wanted to see if I’d find messages about Texas Children’s. These are comments from our patients and their families. And what they’re saying is absolutely our business. Our patient families come to Texas Children’s because they know our reputation. They know we have beautiful buildings, advanced technology, and that our physicians, nurses and staff excel in their fields. 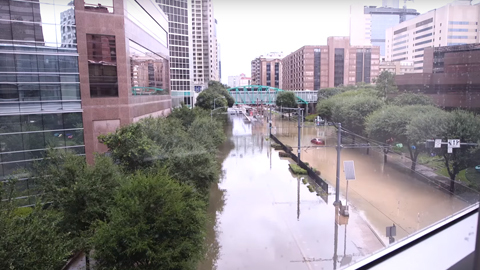 They know that Texas Children’s is among the very best children’s hospitals in the country. I’m proud that we are all those things. But if our care is absent of compassion, we are not fulfilling our promise to these families. It’s an honor that they choose to come to us for care. That’s why the way we care for them is so important. Think about it: How do we speak to them? Do we really look at them or acknowledge them by name? If they’re lost, do we stop and redirect them — or better yet, walk with them to help them find their way? Do we consider what it’s like to be in their shoes? Are we kind? And most importantly, are we consistent? I know many of you are doing your part. I hear stories of how you are leading and taking ownership of our patients’ and families’ experiences. Like Rosa Medrano in Environmental Services who recently found a lost family in the Clinical Care Center after the clinic had closed. The family had missed their appointment while trying to find their way. But instead of just pointing them in another direction, Rosa located another radiologist, Dr. Scott Dorfman, who was able to perform the diagnostic scan their child needed. Rosa’s attentiveness helped reroute the family to get the care they’d come here to receive. Or like Dr. Ellis Arjmand who had a 3-year-old patient preparing for his first surgery. The patient and the parents were very nervous, and the mother was sitting on the floor, comforting the child. Dr. Arjmand sat right there beside them, on the floor, as he spoke to them to ensure the family knew they had his full attention. It’s often small, simple moments like these that make the difference for our patients and families. I know many of you show this kind of compassion and thoughtfulness much of the time. But we must remember, that for each patient and family, each visit to Texas Children’s is their window into our world. What we show them during that time with us is how they will remember us and their experience here. So what are you showing them? I want to hear from you about what you and your teams and units are doing to make the Texas Children’s experience exceptional, every day, every time. 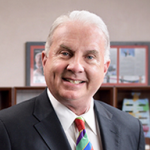 Mark A. Wallace was appointed President and Chief Executive Officer of Texas Children’s Hospital in 1989 at the age of 36. 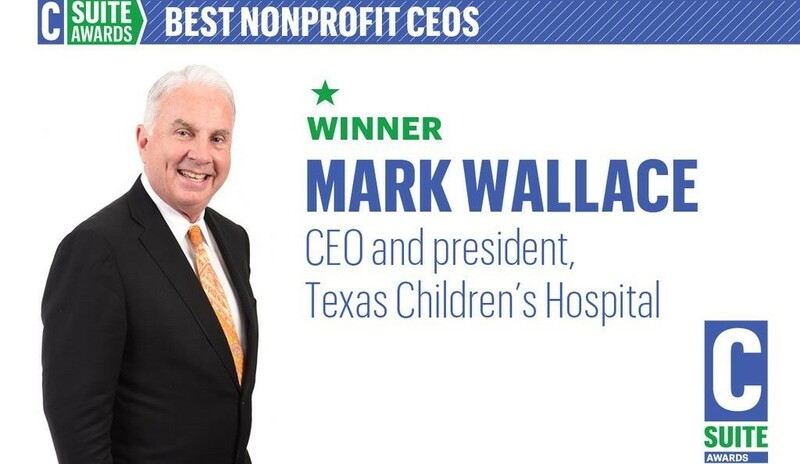 Under his leadership, Texas Children’s has grown into one of the nation’s largest and most comprehensive pediatric and women’s health care organizations, garnering more than 4.3 million patient encounters annually and achieving international recognition as a referral center. Thank you for this post on the patient and family experience. 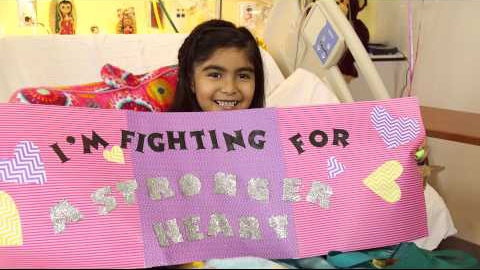 The connection that Rosa and Dr. Arjimand established with the families that they encountered is evident, and examples like these make me incredibly proud to be a part of Texas Children’s. Families often share how important the little things are to them, from an encouraging smile to superhero window washers outside of West Tower. You never know what small act of kindness will change a family’s experience! Mr. Wallace, thankk you so much for shining some light onto such an important topic! The Outpatient areas are working hard to improve the patient experience by increasing the level of access our patients have to clinic leaders and making communication easier for them. We want all of our patients to know that their concerns are important to us and that we are here to meet their needs! Rosa and Dr. Dorfman are great examples of the spirit we hope to foster throughout all of our Outpatient areas. We are extremely proud of their efforts and the efforts of everyone else throughout the system! I am having eye surgery in two weeks and wish I could have it here because of the great and wonderful staff. But, alas, I am an adult! Great post Mr Wallace. I think sometimes we forget our mission is ,to it’s core, customer service. We just so happen to heal sick children in the process of providing our service. Dr Fraser often speaks about us having a servant mentality. We are here to serve our patients. Rosa and Dr Dorfman gave us two fantastic examples of how we can improve the patients overall expereince. Pediatric Healthcare is not just about medicine, it is about the entire patient expereince. I am very proud of ALL that we are doing to give every single patient the very best experience possible. As I have talked with several groups of people around the hospital about this topic, one “insight” emerges over and over — We *CAN* make a difference for the patient/family standing in front of us (and it feels GREAT when we do). Thanks again, Mr. Wallace, for your inspirational leadership. Mr. Wallace, thank you for this post! I know that we are all proud to be a part of the Texas Children’s family and want to ensure that our patients and families have the best possible experience while they are here. Very often, coming to the hospital is scary, uncomfortable, and can make a family feel powerless. There are some fantastic teams here trying their best to help alleviate these feelings. In the inpatient setting, I know that there are a lot of great initiatives in place to help better make our patients feel heard, respected, and cared for. Everyone, regardless of job function, is essential for these to be successful and to enable our patients have the experience we all want them too. Thank you for helping spread the message! Great post! When asked what my favorite part of my job/role at Texas Children’s is, I don’t hesitate to say the patients and families. While my role might not offer me front line contact with patients and families, I’m honored to operationalize processes and initiatives that support those that do. On the occasion that I get to give a patient/family directions or round on patients as part of the Hourly Rounding project I’m on, I am reminded of the reason I chose to work here. Mr. Wallace, this post could not have been more timely! I feel so fortunate to be participating in this incredible effort and focus around the patient and family experience across our system. The amount of energy, enthusiasm and engagement from our employees, leaders, and physicians has been absolutely inspiring and demonstrates that when we commit to something, we really mean it! I have personally witnessed more and more people making an effort to connect with our patients and even each other as they travel from one place to the next. Whether it’s comforting someone or guiding a family that looks lost, we all play a role in impacting the experience of our families and even the experience we have working at Texas Children’s. It really says something to have support around this topic from every level within our organzation! Thank you, Mr. Wallace, for posting your thoughts on this topic. It can be easy for some to dismiss the patient experience as less important than our core business of delivering care, but as you state, care without compassion falls short of our promise. Additionally, as we see from Rosa’s actions, we can show compassion to our patient families whether or not we are directly repsonsible for their care. We can all be helpful and kind–we all strive to live compassionately. I have the honor to be a part of the ambulatory surgery patient experience work group here at Texas Children’s Hospital. This hospital wide intitiative has been an eye opener for me and many of my collegues. We get so busy with our day to day activites that we often lose sight of the goal. Which is to provide the best possible care and experience for each patient. I believe that making people aware of the difference they can make will improve our patient’s experience every day. I have changed my practice in small ways that make a huge difference. By sharing my experiences with my collegues they too are making changes in there practice. The simple idea of sitting down when talking to a patient can change their entire experience here with us. I think we should all “COMMIT TO SIT”. Mr. Wallace, thank you so much for your post regarding this subject! The world of healthcare is complex and the process can be daunting, all the way through the end of the cycle, patient billing. In my area, we see the patient experience certainly extending past the actual services being provided, all the way through to account resolution. Although we do not provide clinical care in our department, we are a big part of the patient experience. The Revenue Cycle staff is committed to making improvements in this cycle to improve the patient and guarantor’s experience with TCH. Our team is committed to targeted process improvements that will ultimately reduce complexity and improve communcations with our guarantors. Kudos to Rosa Medrano for stepping up and embracinging the role of ambassador for Texas Children’s by demonstrating exceptional customer service to our patient families. You highlight a very important issue when caring for pediatric patients. We are not only caring for the patient, but often the entire family. We work in a world full of complexity and technology and it is easy to miss the important step of of acknowledging the humanity. Connecting and communicating in a manner that demonstrates patience, kindness, and presence with the family is important and, I believe, is the realy business of Texas Children’s Hospital. Thank you for pointing it out! Thank you for sharing the examples of going above and beyond for our patients. I feel we need a page on Connect (monthly basis) that reflects the “I Care” attitude that the team at TCH extend to our guests. This will fuel the passion and enthusiasm to provide a superior experience to every person we encounter. The following quote is so true! Thank you for sharing this. Working at TCH and seeing all of the staff smiling and waving to our patients, makes the days completely worthwhile. I always try to go out of my way to give a high five, say hello or make sure I have a warm smile to offer. I remind myself that a hospital can be a scary, nerve-wracking place and it’s our job to make it a friendly, happy – worthwhile experience. Mr. Wallace, thank you for your post. You have highlighted the importance of partnering with the patients and families that we serve. We are so privileged to care for patients and their families each day at Texas Children’s Hospital. Providing that caring, nuturing, and healing environment brings joy to my heart. First, I am so thankful to hear how much you truly value the feedback from patients and families. When I had my twins in the NICU for several months, the greatest impact to me was how every discipline and every service department made a great effort to call my children by their names. Not baby girl A or baby boy B, but to hear them say Jonah needs this or Elliott needs that. It made me feel that they understood that they are my children, they are people and they need your help and expertise. I still get a lump in my throat thinking about it. Thank you for caring so much. And if your wife needs a recommendation for good Houston Restaurants, my husband and I got a babysitter Saturday night and tried Caracol on Post Oak, fantastic! Mr. Wallace, what a wonderful message to start off the On the Mark blog! It’s important for each of us to remember that we are here not only for our patients, but their families as well, and that little things we can do each day can have an impact. If a family looks lost stop and help them, take time to walk them to their destination, smile, and always be friendly. Thank you for highlighting this message.